﻿ The legend turns 30. 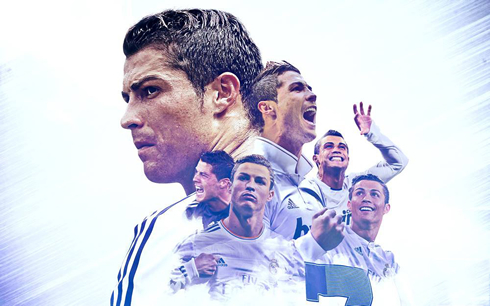 Happy birthday Cristiano Ronaldo! 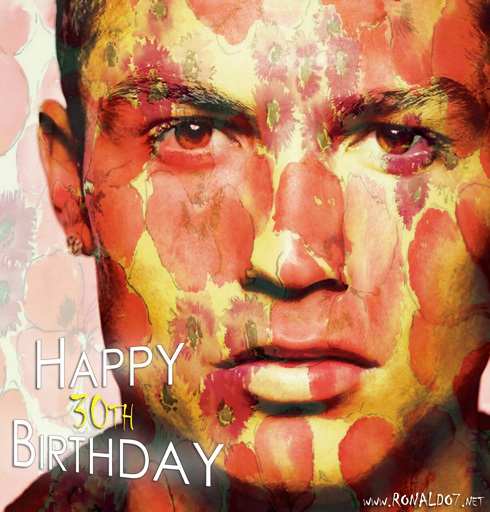 05.02.2015 » The legend turns 30. 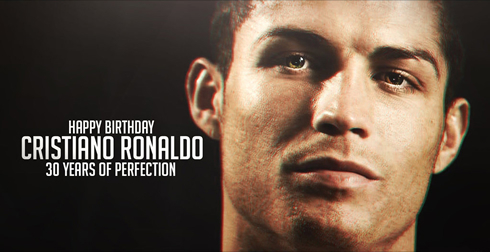 Happy birthday Cristiano Ronaldo! It's incredible how time flies by so fast and for those of you who actually had the opportunity to witness first-hand how Cristiano Ronaldo developed himself as football player since 2003, you certainly can't deny feeling some nostalgia floating in the air. The Portuguese phenom celebrates his 30th birthday today (February 5 of 2015) and he does so with no apparent signs of be going through any sort of decline in his game and physical condition. Many have been the voices who support the claim that Ronaldo will be capable of playing at this level for many more years, even though that may mean he'll probably have to redapt his game in the upcoming seasons. However and despite what the future may hold for Ronaldo, we thought this would be a good time to look at his past and highlight his 7th most striking moments of his football career. After coming off his first season in England playing for Manchester United, Cristiano Ronaldo had one of his biggest challenges ever in international level when Portugal hosted the EURO 2004. The tournament was extremely rich in emotions and even though the Portuguese National Team lost their chance of lifting the trophy after losing to Greece in the final, it was during that summer that Ronaldo cemented his place as an undisputed starter in the team. Cristiano Ronaldo's best year in England happened in 2008, when the Portuguese player won both the Barclays Premier League and his first UEFA Champions League for Manchester United. He also ended the 2007-08 season with his best goalscoring record ever in England, having scored 42 goals in 49 games (31 of those in the Premier League). 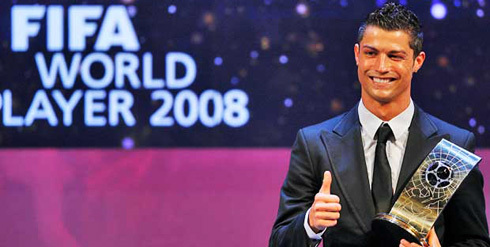 On January 12 of 2009 and for the first time in his career, he was crowned the 2008 FIFA World Player of the Year, an award that now corresponds to the FIFA Ballon d'Or. The world's record tranfer fee was broken in the summer of 2009, after Manchester United decided to endulge Cristiano Ronaldo's intents of leaving the club by accepting Real Madrid's 80 million pounds offer for the Portuguese winger. Ronaldo felt it was the right time to move on and embraced a new challenge in Spain. Who better than Real Madrid to keep feeding his dreams? It was during the summer of 2010 that Cristiano Ronaldo became a father for the first time in his life. It all happened during Portugal's World Cup journey in South Africa and until now, the identity of the mother is yet to be revealed. Cristiano Ronaldo Jr was born on the 17th of June of 2010, but the public announcement was only made on July 3, a few days after Portugal got thrown out of the tournament by the Spanish National Team. It might sound a bit ironic, but Cristiano Ronaldo's best season ever goals-wise didn't end with him winning the FIFA Ballon d'Or that year. The Portuguese forward scored a total of 60 goals in 55 games for Real Madrid in the 2011-12 season (46 of those in La Liga) and he was by far the team's main figure in the road to the only Spanish League title the Merengues won since Ronaldo's arrival in the summer of 2009. Real Madrid's much-wanted 10th UEFA Champions League ("La Décima") arrived in May of 2014, following a splendid campaign in Europe delivered by the Merengues. As usual over the past few years, Cristiano Ronaldo was one of the team's most influential players throughout the tournament and he even broke the competition's goalscoring record by netting 17 goals in 11 games. Cristiano Ronaldo next game will be for the La Liga against Atletico Madrid, on the 7th of February of 2015. You can watch Juventus live stream, Atletico Madrid vs Real Madrid, Everton vs Liverpool, Man City vs Hull City, Tottenham vs Arsenal, and Aston Villa vs Chelsea, all matches provided from our soccer live section.